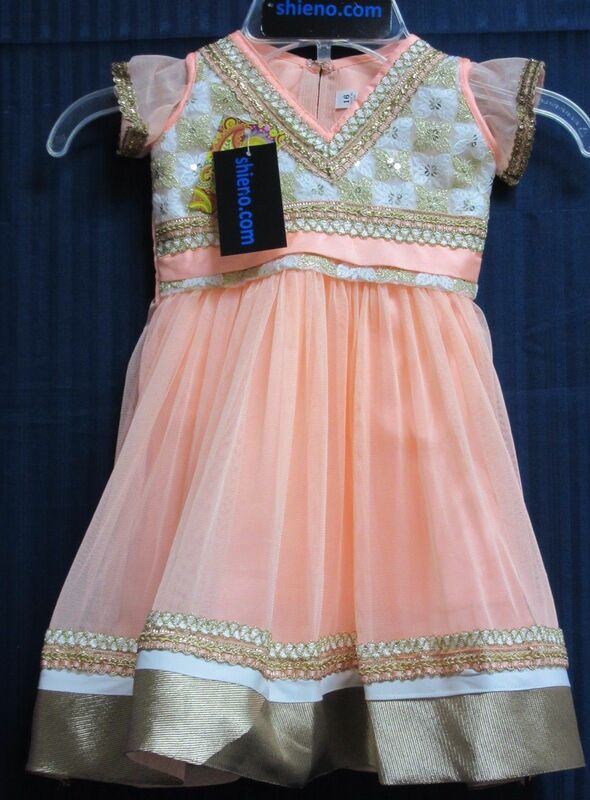 Peach Net Flared Frock, Gold Zari Tilla and White Thread detail. Anarkali Frock Knee Length, Short Sleeves. Peach Crepe Churidar Pants and Peach Net Dupatta. Available for baby girls 9 months old and 1, 3 and 4 year old. This item in Salwar Kameez for Kids category was first added to our catalog on 11-16-2016. 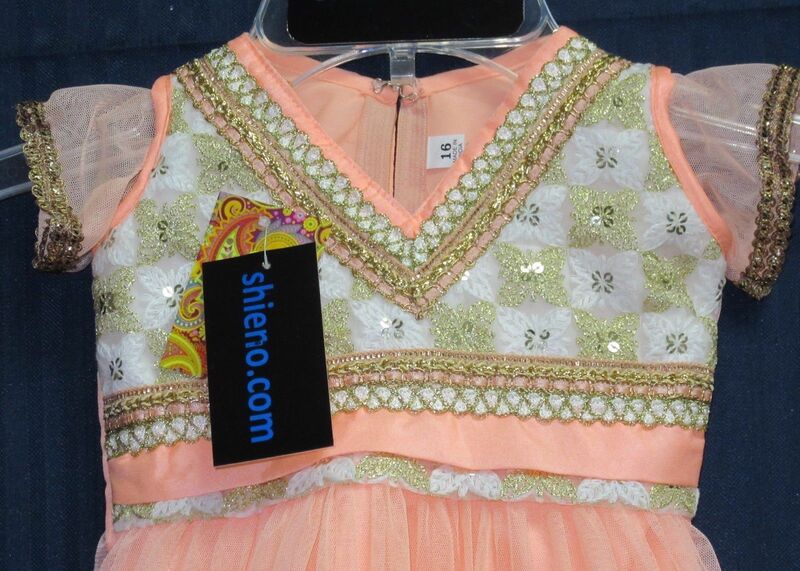 Buy Girls Peach Net Anarkali Suit for Party Wear (1 to 4 year), sold & shipped by Shieno Boutique where you can shop online for Latest Sarees, Salwar Kameez, Shawls, Jewelry & Clutches. 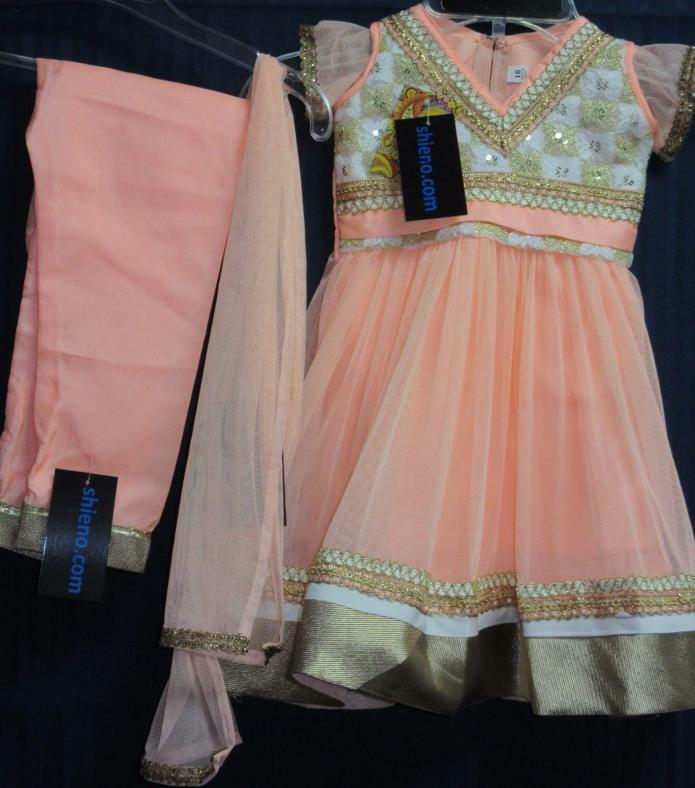 This Kids Net Anarkali Suit collection has been tagged as Kids Wear, Salwar Kameez, Girls Dress Online, Indian Children's Clothes.